Water soluble powder. For the treatment of Chronic Respiratory Disease (CRD), infectious (respiratory) diseases, Synovitis. 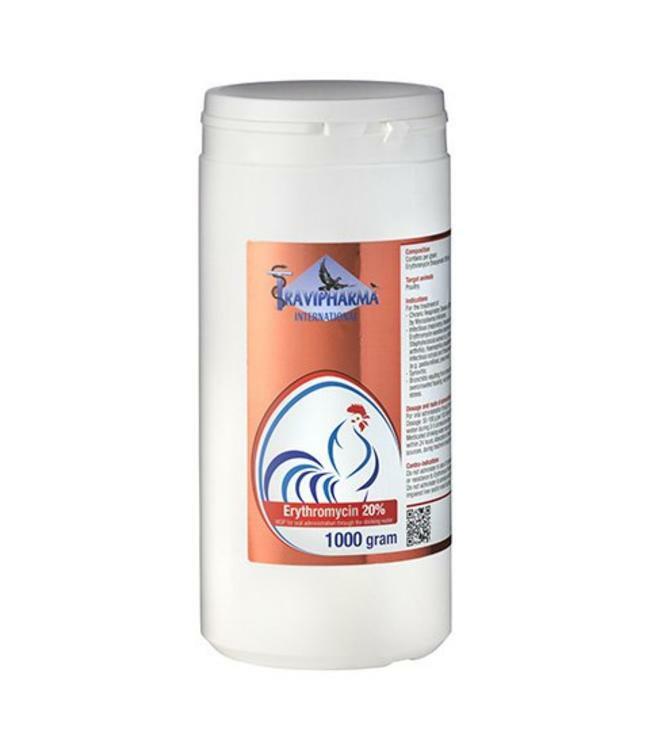 Contains per gram: Erythromycin thiocyanate 200 mg.